For those of you who think that CannibalRabbit is a bit bizarre or warped, then check-out the Kent Rogowski website [^]. 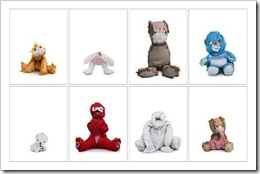 Kent has unstitched a series of stuffed toys, turned them inside-out and re-stuffed them. I don’t think that there is anything else that I can say! Head over to the website to see more.